To hear Jaguars Head Coach Doug Marrone’s comment about replacing players, it sounded eerily similar to Tom Coughlin’s answer to a similar question in 1995. During the Jaguars first season, Coughlin was asked if he was considering some lineup changes when things weren’t going well. “These are our players,” he deadpanned. In both instances, the coaches know that the guys on the field aren’t performing well enough, but they don’t have anywhere to turn. For Coughlin in ’95, it was a matter of using cast-offs from the expansion draft and rookies he drafted. For Marrone, it’s a different story. This year’s Jaguars team has plenty of talent. First-round picks all over the lineup and solid, emerging players in key spots. But this year, it just hasn’t happened. On defense there are eight players who have gotten a Pro Bowl nod at one point or another in their career. But this year’s defense is a far cry from the one that dictated games in 2017. Can they miss Paul Posluszny that much? 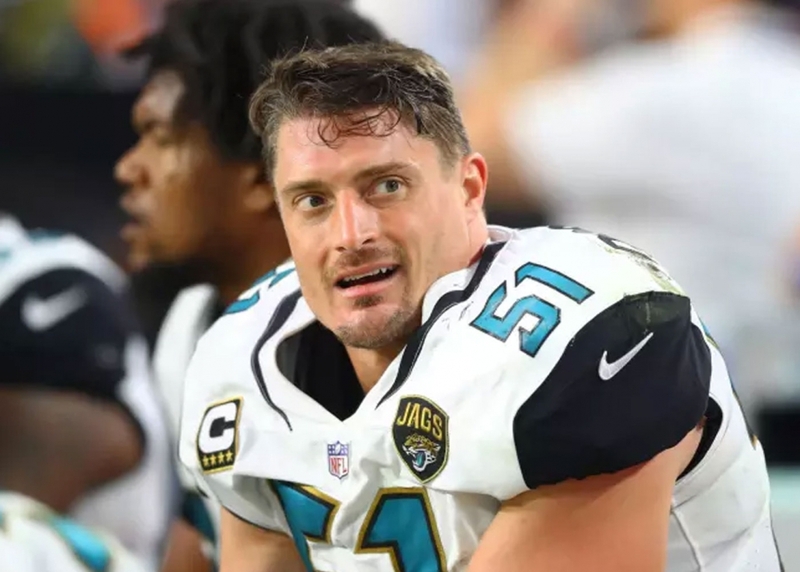 Poz said he was leaving the game because he “couldn’t look Telvin and Myles in the eye if I couldn’t make that play,” when he decided his career was coming to an end. The problem is, Telvin and Myles aren’t making the plays they were last year with Poz in the lineup. Some of it’s the “communication” Marrone keeps talking about. But there’s an intangible there that’s missing. This team has less “want to” than last year. Perhaps it’s the accountability they felt to Posluszny both in the locker room and on the field, but whatever it is, it’s missing and you can feel it. ”Its un-explainable” Malik Jackson said last week regarding the lack of production his team is having, particularly on defense. Which means something’s missing from just the x’s and o’s. Injuries have wreaked havoc with the offense. From Leonard Fournette’s tender hamstring to the third and fourth stringers having to play at left tackle and tight end, you could point at that as a part of the offensive problem. Add to that the lack of production from a wide receiver corps that lacks a star and is just a tick above average, and it’s no surprise the offense isn’t getting it done. Blame Blake Bortles all you want, but even Doug Marrone admits that it’s hard to evaluate a player when nobody around him is playing well either. ‘Do we need better play there?” Marrone asked rhetorically a couple of weeks ago. “Yes, but we need better play everywhere on offense,” was his own answer. Bortles isn’t a superstar, but he has shown the ability to get the job done when the rest of the pieces are functioning as well. And it’d be nice if the receivers were open every now and then. When you watch the game, (and often it’s instructive to watch the replay with the sound down) it’s obvious they’re not getting much don on offense. But Offensive Coordinator Nathaniel Hackett should shoulder some of the blame. From one of the best-called games ever against New England, Hackett has lost confidence in his receivers, his quarterback and most notably his offensive line, and his unimaginative play calling reflects that. If they don’t’ execute, that’s one thing, if you don’t give them a chance, that’s another. I agree, Blake should have pulled the ball out and run it himself on the run-pass option in the 4th quarter against the Steelers, but without the confidence of your coaching staff, it’s a difficult decision to make. And without addressing the lack of playmakers either in the draft or through free agency, Tom Coughlin and Dave Caldwell rolled the dice on a team who’s offense was modeled around a decade-old formula for winning in the league. And crapped out. Watching that LA/KC game Monday night was fun, but for context, it’s the first time in NFL HISTORY that both teams scored at least 50 points in a game. So that’s not going to happen every week. You don’t think *Bortles could be either Jared Goff or Patrick Mahomes, but who knows? He’s never had that kind of talent around him. At least the Jaguars should look to the future of their team with one eye on what the NFL is now. And act accordingly.